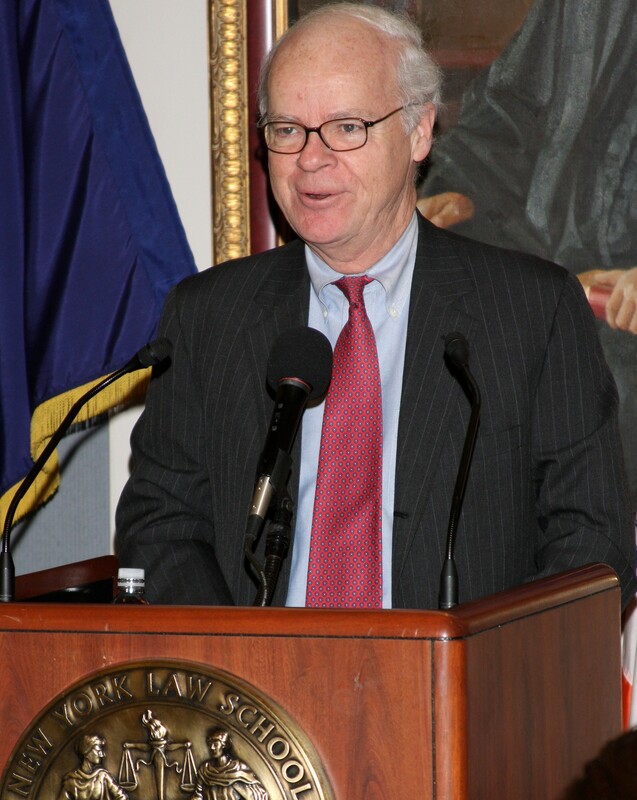 Robert B. Tierney comes from a background of law and government rather than architecture, but his experience and training serve him well in his current position as Chair of the Landmarks Preservation Commission. His love for learning about the City’s fascinating history and built environment, which he describes as a hobby and passion pursued for over 40 years, has allowed him to approach designation from a well-versed position, while his expertise in navigating through City government has helped him accumulate the resources required to carry out Landmarks’ mission. From 2004 to 2008, Landmarks’ budget expanded from $3.1 to $4.3 million and staff increased from 50 to 68. Tierney credited Mayor Bloomberg for the increased funding and for his appreciation of the role that Landmarks plays in preserving architecturally, historically, and culturally significant sites in the City. Beyond Manhattan. Tierney’s tenure has been marked by what has been called “a five-borough strategy.” In years past, some have criticized Landmarks for primarily targeting sites within Manhattan for designation. From his first day on the job, one of Tierney’s top priorities has been to identify districts and buildings outside of Manhattan that are worthy of designation. Beginning in 2003, Tierney has overseen the designation of nine outer borough historic districts and 66 outer borough individual landmarks. Of the 1,158 buildings designated in Fiscal Year 2007, 96 percent were outside of Manhattan. Landmarks’ staff is currently reviewing the results of a 22,000 building survey recently undertaken by the research department. The survey evaluated more than 16,000 buildings located outside of Manhattan for designation. On transparency. In November 2008, a trial court judge ruled that Landmarks had an obligation to publicly consider and render a prompt decision on every formal landmark nomination made by the public. The suit was brought by preservationists seeking more transparency in Landmarks’ review process. Landmarks intends to appeal, as it believes full Commission review for every nomination amounts to an unworkable burden. Despite the criticism, Tierney stated that public input is integral to Landmarks’ processes, pointing to the near-weekly public hearings that allow all to comment on items proposed for designation. He also mentioned that the public, including preservation groups, are allowed to scrutinize the same information he and his fellow commissioners use to make their decisions. Addressing the issue of landmark nominations, Tierney said that sometimes those who nominate landmarks are not receptive to negative feedback, which leads to a perception that the agency is not taking action. Out of the approximately 200 nominations received each year, Tierney believes the Commission can meaningfully act on only a handful before resource wasting becomes prevalent. In order to make Landmarks even more transparent, the agency has committed to setting up a new website, tentatively named PILLAR, which will function much like the Department of Buildings’ Buildings Information System. PILLAR will allow the public to track permit applications, violations, and landmark nominations at all stages of review without having to travel to Landmarks’ downtown office. Landmarks hopes to unveil the website by early 2010. Landmarks currently posts all of its Certificates of Appropriateness on the Center for New York City Law’s website www.citylaw.org. Practicing vigilance. Having presided over Landmarks during a time of intense development in the City, Tierney states that Landmarks has had to be “extra vigilant” to prevent the demolition or irrevocable alteration of significant structures. Aside from litigation, a large part of Landmarks’ recent efforts have been in the form of outreach to owners, proposing adaptive reuses and discussing the benefits of owning a landmarked property. Facing a downturn. So far, Tierney said he has not witnessed a substantial decline in the number of new permit applications. “Unless the bottom completely falls out,” Tierney believes the agency can continue with the same level of service and staff through a period of budget cuts. Since it carries only 68 employees and commands but a fraction of the City’s budget, Landmarks should avoid becoming a major target for budget cuts.